Pioneers in the industry, we offer bulk hair extension, remy human hair, natural blonde, natural human remy hair, remy double drawn natural hair and virgin remy weft hair from India. 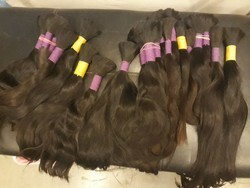 we are a known manufacturer, trader, exporter, importer, wholesaler, distributor, retailer & supplier of a special range of Natural Human Remy Hair. 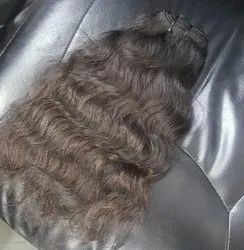 Size From 8" To 20-32"
Over the years, we have gained immense credibility across different domestic and international markets by offering a wide assortment of double drawn Natural Hair. This Natural hair is provided in a multitude of textures, styles, and colors as per the particular needs of the clients. Offered Natural hair is carefully processed using the 100% natural human hairs and modern methodology under the directions of our skillful professionals. Clients can avail this Natural hair from us in different cuts and lengths at most affordable rates. 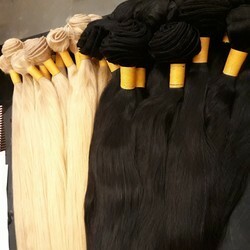 We are offering a wide range of Remy Virgin Human Hair to our clients. 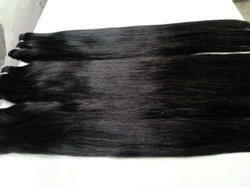 Size: from 8" to 30-35"
we manufacture and supply quality range of Virgin Remy Weft. We manufacture and supply the premium quality of brazilian Curly Hair, which is known for its rich attributes such as smooth texture and natural color. Rendered by us in black and brown color, the rendered curly hair is available with us in bulk quantities. The rendered loose curly hair is used in fashion and movie industry. We BIR hair exports and manufacturing unit in India, we export the finest quality of human hair: so natural looking, as it grows right out of your scalp. Our easy to install hair extensions are uniquely designed to best suit your need of convenience, quality and styling versatility. We have used the best quality youthful hair that grantee against tangling, shedding , color bleeding and lice. 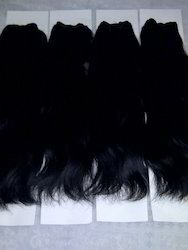 It is the beautiful most form of human hair with a remarkable thickness that is held secure with a thick sturdy weft. A really natural looking soft wave product, with ample body and bounce to give your hair that luscious voluminous effect and look. 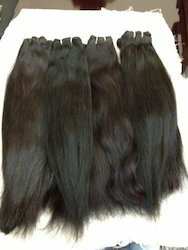 Sizes are available from 12 inch to 30 inch, weight of each is 100 grams Grade, 100% human hair.